Victoria and Albert (V&A) Museum is one of the most visited museums by both locals and international tourists in London. The musuem features mostly on the concepts of art and fashion. 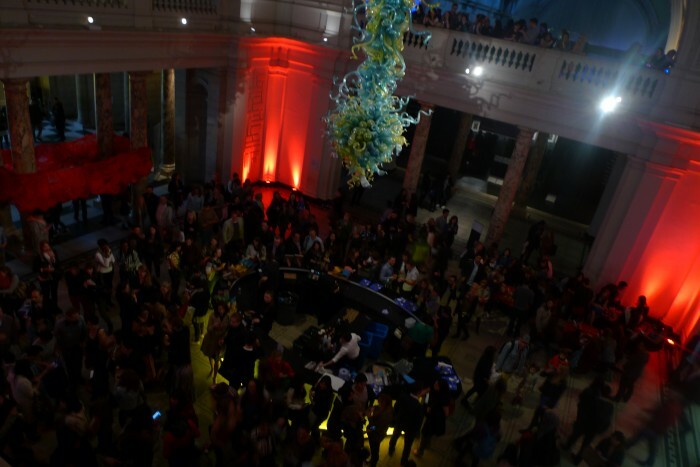 Every last Friday of the month, the V&A musuem is open at late nights while featuring particular themes. 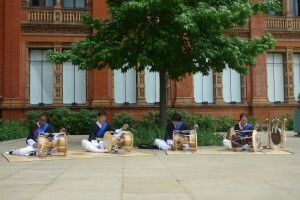 On 30th May, the Korean culture-related activities were held at the V&A musuem to invite visitors to experience various aspects of Korean culture from art to music. 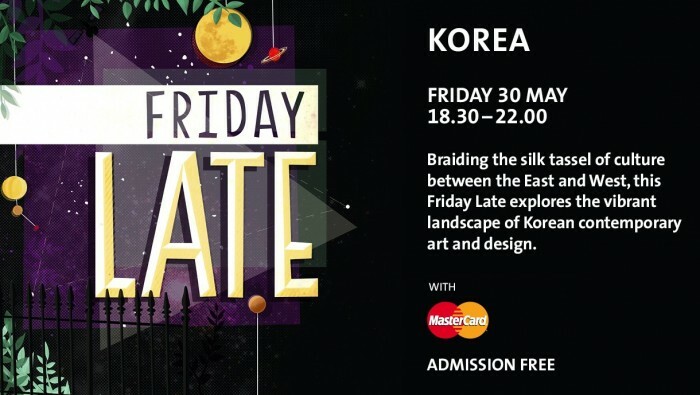 Each location featured some of the areas of Korean culture which lets visitors have a go in learning about these aspects while wondering around the museum. 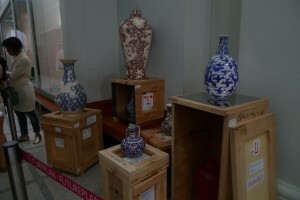 Some of the art pieces and activities were held at various places within the musuem. 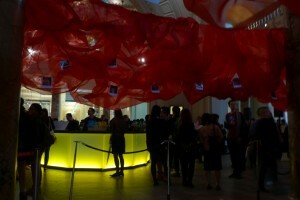 The ‘Red Complex’, created by Borim Jun and Seung Hwan Lee, was shown at the grand entrace of the museum that consists of polaroid photos attached to the red beacon. Shin Meekyoung’s art works, which are vases made out of soaps were featured, while visitors had a go on carving the art motifs on soap. I didn’t realize that there was an activity going on. I had a go at the Sung Jang Laboartory where I tried building a creative animal made up of blocks that has different shapes and colours. Wonderful playtime for not only the children but adults, too. 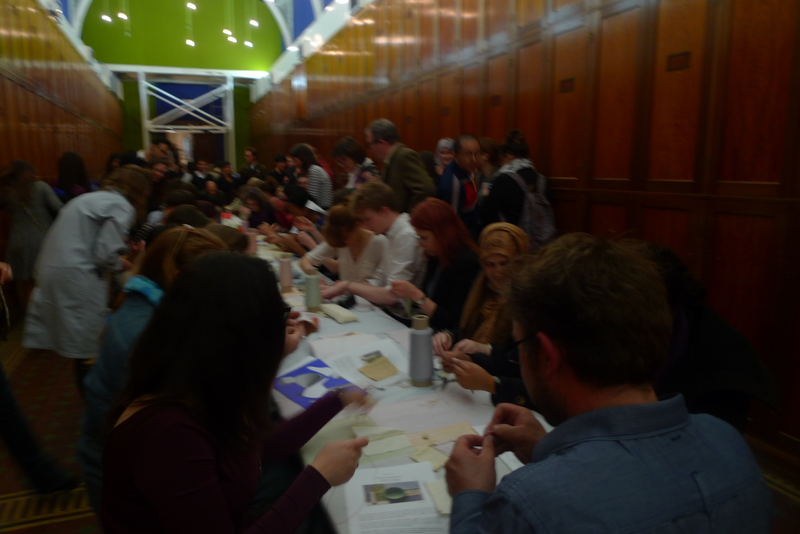 There was the Tablestich where visitors had a go on learning the art of traditional jogakkbo sewing. They sat across the dining table and they helped each other out in making creative art pieces. I didn’t get the chance to do so as they were a lot of people have taken the seats. 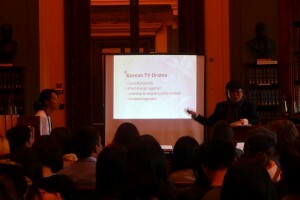 Other visitors also watched Junebum Park’s videos of ‘puppeteer’ concept in controlling the everyday lives in Korea. 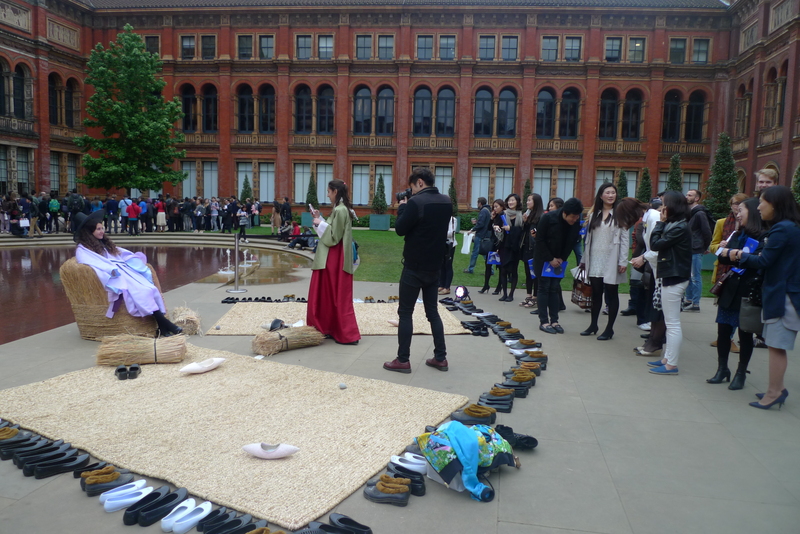 Outside the John Madejskl garden, they not only get the chance to dress in hanbok but they also sat on ‘Made of Chair’ designed by Kim Been. An armchair that is made out of rice straw that conveys a sense of traditionalism and relisation. The rice straw were made into good use in forming into both an art piece and a furniture. Besides that, I explore both music and poetry. The Bridge Korean drummers, known as the Samullori played out the rhythms of folk music (P’ungmu) as I listened to the beats of the drumming while, at times, I tapped my feet along with it. It’s a call for celebration of enjoyment for peace and harmony. 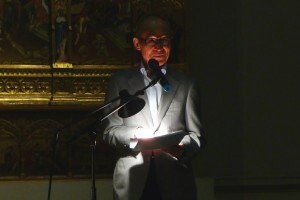 It was delighted hear the great poet, Ko Un, who came all the way from South Korea to share his works to the audiences. 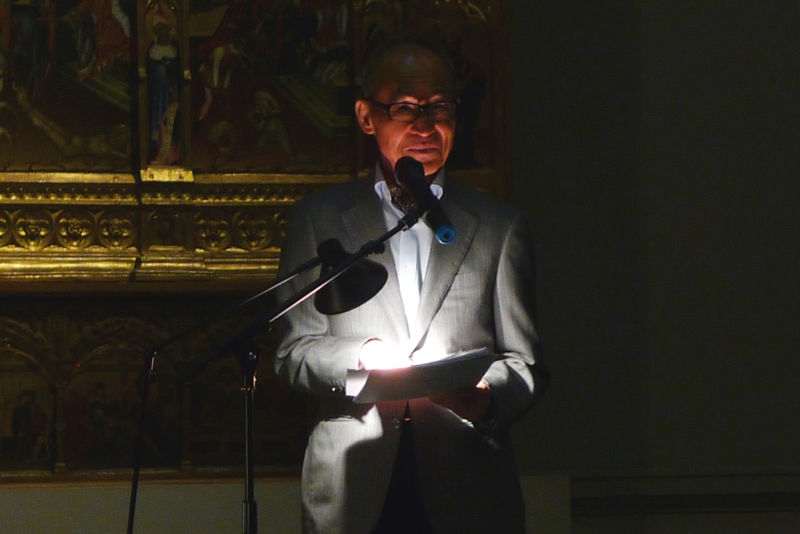 He gave evoked so much passionate emotions while he read his poems. Some were meaningful while others were funny. His works are related to not only through his past experiences but also related to our everyday lives which we have to be strong and think positively. Director Yun Seok Ho, the director who directed Winter Sonata and Autumn in My Heart, gave an engaging lecture about Korean dramas. As I have attended his talks before at the SOAS, I decided to skip that and explore other areas. 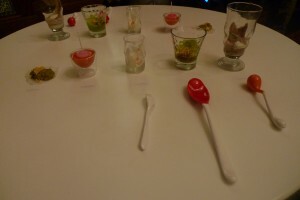 My friend and I were lucky enough to try the Visualization of Taste, run by designer Jin Hyun Jeon. Before the event, we were not informed that there will be limited seatings and booking is required. Thankfully, on that night, we managed to get the last two seatings before the bookings were fully booked. 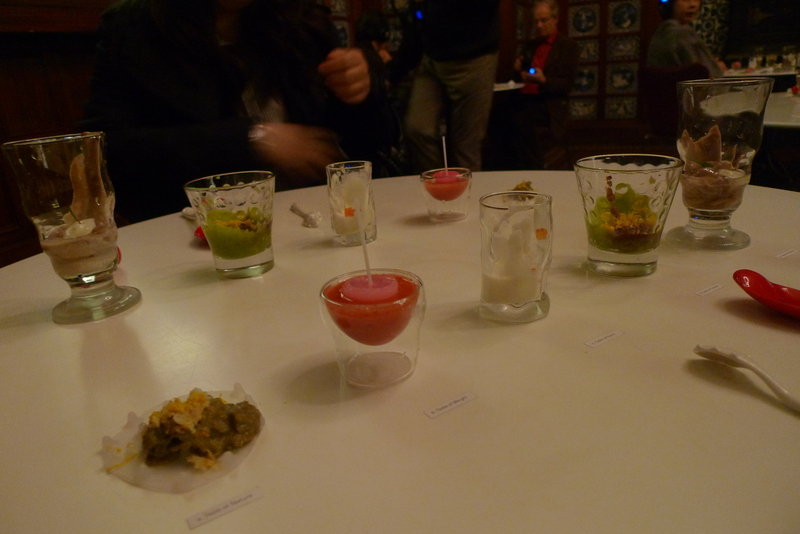 We were seated at the table with five sets of tasting. 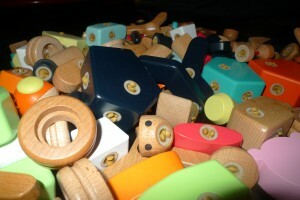 Each set represents the type of taste. 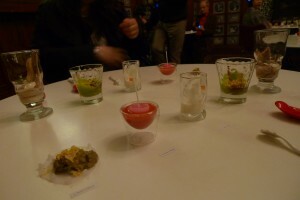 Not the five types of taste (sweet, sour, bitter, salty, and astrigent) but five elements of taste (temperature, colour, texture, volume/weight, and form). Once we put on the headphones, we started to try each of them while the sounds of eating and drinking are played. It might be uncomfortable, at first, but I would consider this an artistic experimental and gastronomical experience which Jin Hyun attempts to let the visitors try. 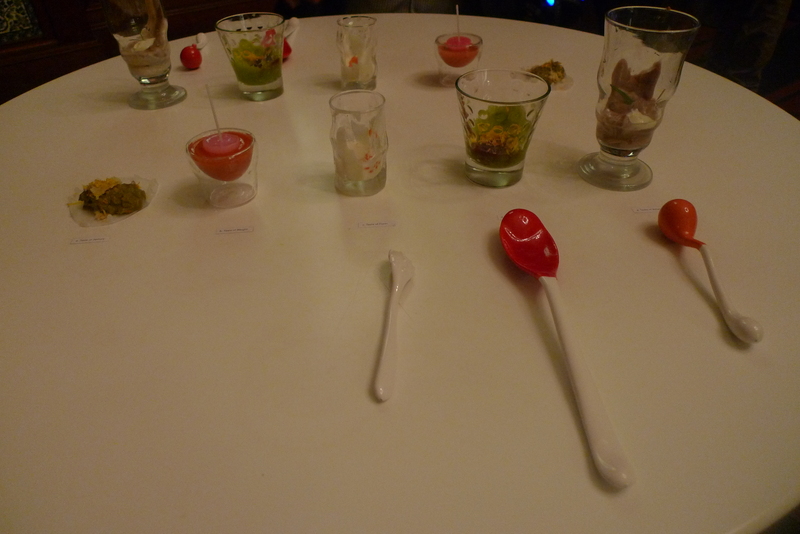 The various quality of utensils and food played around with our tastebuds, it either surprised with joy or with shock. For me, this the major highlight of the night. I wished that they could provide more tables and seatings for other visitors to try. Although it was enjoyable to experience the Korean culture in the V&A musuems, there were a few minor problems which I encountered. Even though I had the map in my hand, I tried to find certain areas at the museum. Some were nearby while others were far. I didn’t even realize that there was the crafting soap activity which is next to Shin Meekyoung’s art pieces. The activities should be located at a close distance. The food which were served at the cafe was very disappointing. A very Westernized taste which I didn’t enjoy especially when the Korean spicy chicken was not spicy at all. Even though that this is the first time that Korean cultural activities were set at the museum, there were some strengths and weaknesses. Some were exciting while others didn’t grab my attention. 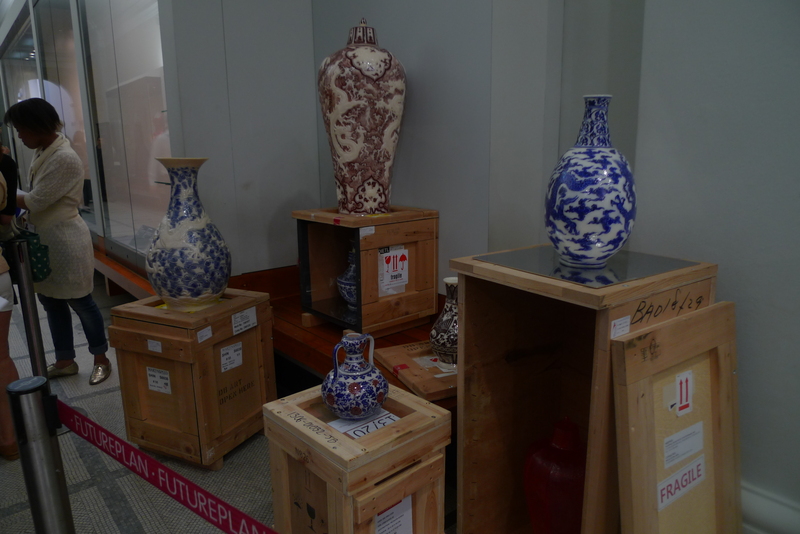 Still, it was a good idea to let the musuem visitors and others to expose to different aspects of Korean culture. Fun, entertaining, and educational. 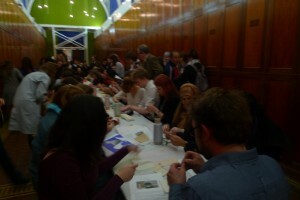 I hope that the organizers are going to do this kind of event again in the near future, with better improvements.